At Restivo’s, we make it our mission to not only meet your demands but also exceed your expectations, whether your HVAC system needs service, repair or replacement. To get the most out of your heating/cooling dollar, you want equipment that will live up to your expectations for temperature control, air quality, quiet operation, longevity and efficiency. Backed by over 80 years of experience and a team of the best HVAC professionals in the entire state of Rhode Island, we strive to provide our customers with the best products and the best service. Our heating and cooling technicians are handpicked for outstanding commitment, in-depth product knowledge, extensive training and industry experience. As a family-owned and operated business, we value ethical service, fair pricing and a job done right. We demand the highest level of expertise from our staff so that you never pay the price but always enjoy the rewards of our workmanship. We are an authorized dealer for the best heating and cooling products in the HVAC industry. 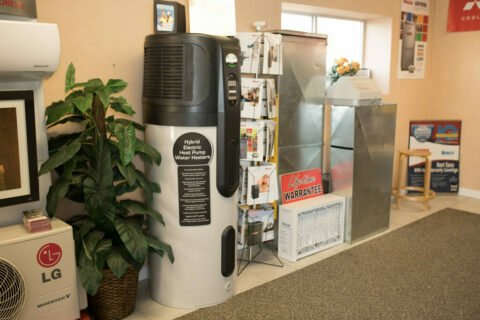 Visit our showroom to see the heating and cooling systems that we recommend. Restivo’s specializes in hot water heaters and provides prompt, reliable and affordable service, delivering the most efficient and trustworthy solutions to your hot water needs. Click here to learn more about our hot water heater services. 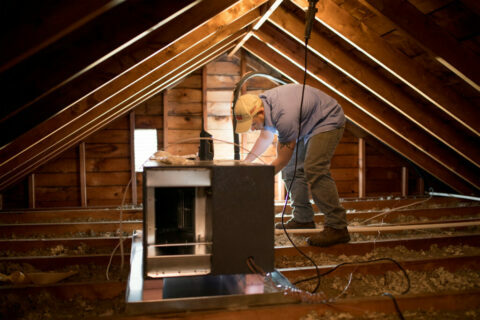 Restivo’s is an industry leader in the Rhode Island area in installation of new HVAC systems. We have the perfect cooling solution for any home, office or business, including traditional and ductless air conditioning units. Click here to learn more about our air conditioning services.